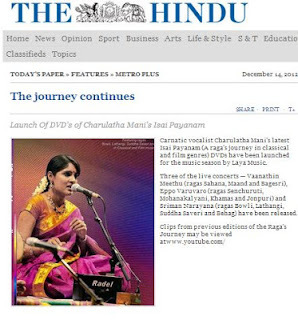 Singer Charulatha Mani discusses the state of the yearly phenomenon known as the Madras Music Season. 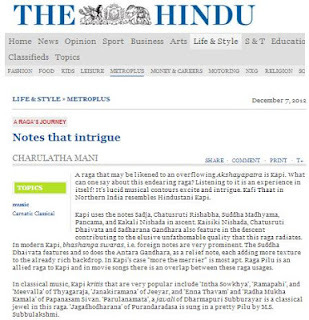 In the Kungumam interview, Charulatha pulls no punches, and lambasts the degeneration of Carnatic Music concert performance from a celebration of glorious tradition and virtuosity, into a free-for-all of amateurism and mediocrity. 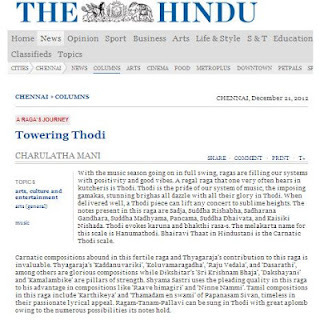 The artiste holds forth on how sabhas have largely failed in their duty towards professional artistes and listeners, turning a blind eye to the inability of many well-connected amateur performers to adhere to even basic standards of concert performance such as singing in pitch or basic vocal technique. 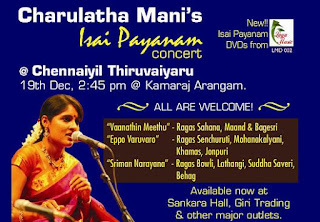 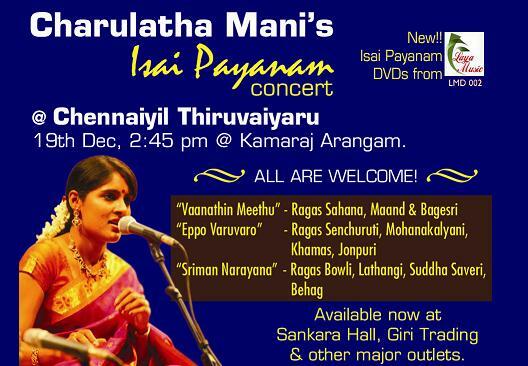 She also speaks about the motivation behind her Isai Payanam concerts and her efforts in reaching out to audiences, to dispel the notion of Carnatic music as an arcane art form patronised by a restricted section of society. "Sriman Narayana" – Ragas Bowli, Lathangi, Suddha Saveri and Behag in Classical and Film music. 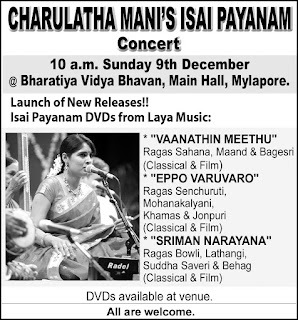 The DVDs shall be available at the venue and all major outlets soon after the release.